now resides in the city. but there’s a seventh (mumbled). ~ The BBC, affectionately known as ‘Auntie’ in the UK, has been screening David Attenborough’s excellent series ‘The Frozen Planet’. In order to sell the programme abroad it has packaged the series as six episodes with an ‘optional’ seventh episode. 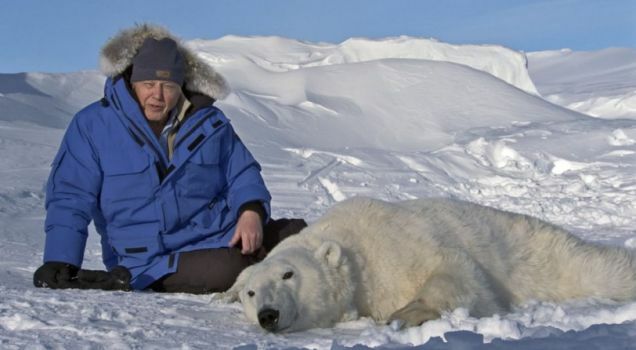 The seventh episode entitled ‘On Thin Ice’ is dedicated totally to climate change, something which Attenborough feels very passionate about. Of the 30 networks across the world who have bought the series, a third of them have rejected the option of screening the seventh episode. In the US the series is being screened on The Discovery Channel, which was actually involved in making the programme along with the BBC and The Open University. Viewers in the US will not see the seventh episode. Again, what a brilliant poem and I love the rhyming structure. You say it all so succinctly, get your point across, and yes, I thank you for pointing out this fact of the seventh episode (which we saw the other night). I had no idea it has become such ‘political football’, for want of a better phrase. What a fine poem!